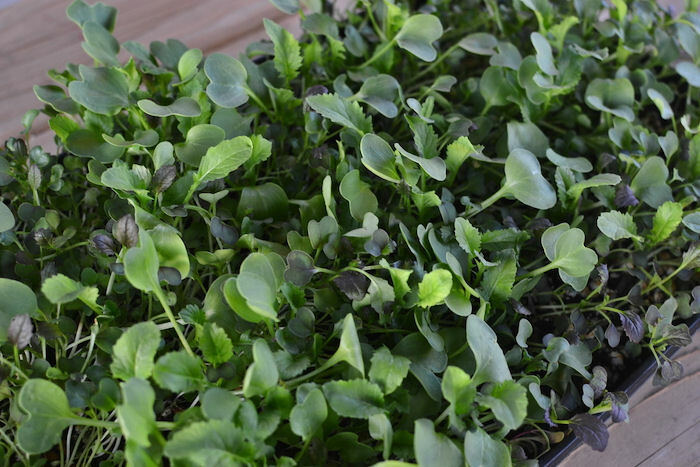 Microgreens are the closest a gardener can get to instant gratification. Instead of three months, you can enjoy your harvest in just two weeks. 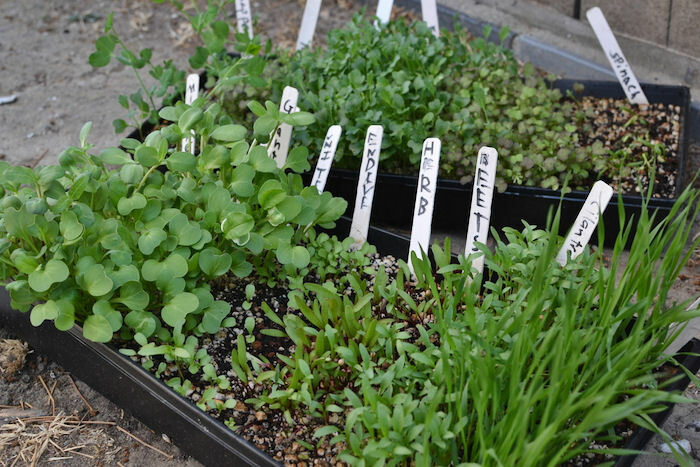 These tips for growing microgreens will help you get started. Microgreens have lots of uses. Throw a microgreen mix into your smoothie to boost the nutritional value. Add some radish microgreens to a sandwich for a spicy kick. Liven up a salad with color by topping it with purple basil and amaranth microgreens. This is a guest post written By Rick Perillo from The Carrot Revolution. Microgreens are simply very young vegetable and herb plants. They are older than a sprout and younger than baby salad greens. They have recently popped up at fancy restaurants but you will be surprised by how easy (and cheap) it is to grow your own. 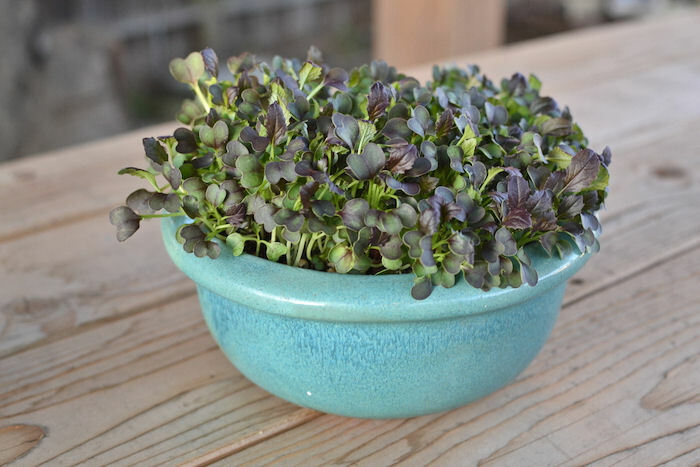 They are quick: You can grow a batch of microgreens from seed to harvest in 2 to 4 weeks. They are nutritious: A University of Maryland Study found microgreens to have higher concentrations of nutrients than many mature vegetables. 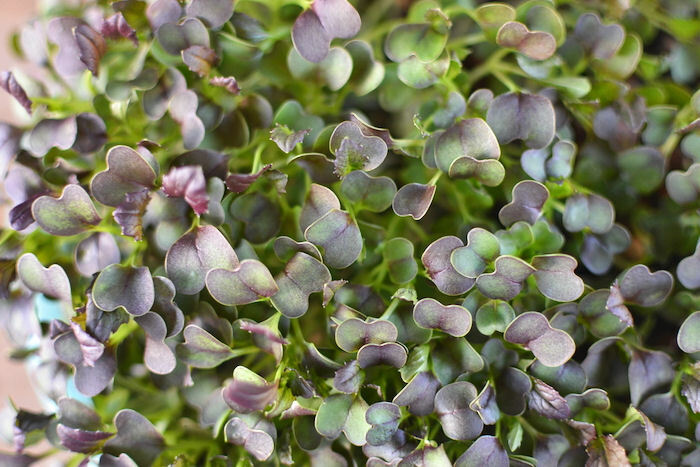 In the case of red cabbage, there was 40 times more vitamin E in the microgreen than the mature cabbage. 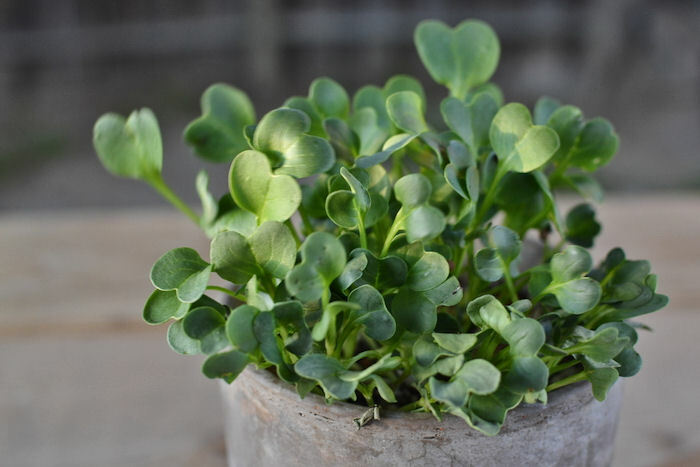 They are tasty: In addition to concentrated nutrients, microgreens have concentrated flavors. Radish microgreens have a spicy bite to them. Peas are sweet and crunchy. You can grow them anywhere: Even if you don’t have a garden you can grow microgreens. They can be grown on a sunny balcony or deck garden, or even indoors by a sunny window or under grow lights. Growing microgreens at home is very easy if you have just a few supplies and a few weeks. Seeds: Use untreated high-quality seeds. Any plant that is completely edible (roots, stems, leaves) can be used. Popular choices include radish, kale, basil, parsley, amaranth, cilantro, broccoli, mustard, cabbage, arugula, peas and beets. But, experiment with other plants, that is part of the fun. Container: Microgreens can be grown in almost any container but wide and shallow is best (1 ½ inches is the minimum depth). Reuse old food containers or baking pans with holes punched in the bottom. You can purchase garden trays specifically for microgreens. 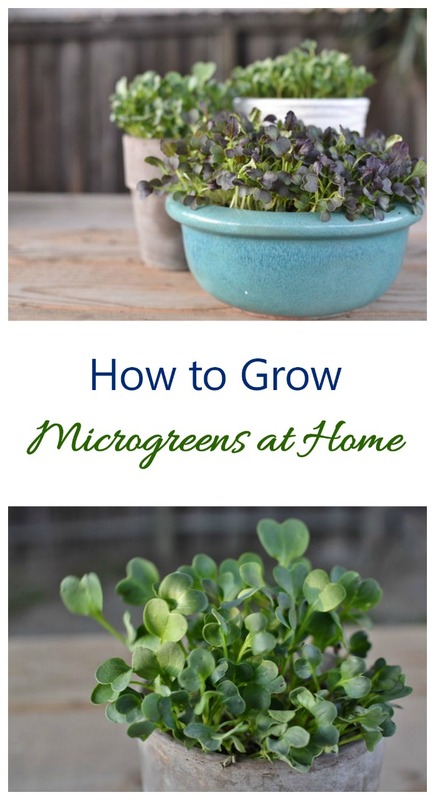 Microgreens can make attractive patio decorations when grown in decorative pots. Just make sure that whatever container you are using has drainage holes in the bottom. Seed starting mix. Do not use soil from your yard for this! You need a light, fluffy and sterile seed starting or potting soil mix. Popsicle sticks and a pen: Label your plants with the seeds you sow and the date, you will forget! You can also use plant labels if you wish. First, wet your seed starting mix until it is the consistency of a wrung-out sponge. Then fill your container with your seed starting mix leaving some room at the top (you do not want your seeds to spill over). Smooth the surface of your seed starting mix. Sprinkle the seeds evenly over the top of your seed starting mix. You will be planting them more densely than if you were growing them to maturity. It is best to sow only one type of seed in a container as different seeds grow at different rates. However, you can experiment with different mixes. Lightly cover your seeds with more of your seed starting mix. Make sure the seeds are completely covered. Keep your container in filtered light if growing outside. If indoors keep in a sunny window or under a grow light. Keep the soil moist (but not soggy). I prefer to water them lightly with a spray bottle. Depending on your crop, your microgreens will be ready to eat in 1 to 4 weeks. Use scissors and cut the microgreens at their base. Wash off your harvest and use immediately. When the whole container has been harvested place the remaining soil on your compost pile. Microgreens make a great indoor plants, too. They look very pretty growing in a decorative pot! Growing Microgreens is so cheap and fast that experimenting is easy. Try a colorful mix of reds, purples and greens or a spicy mix of radishes and mustards. Make sure to let us know how your microgreens turn out in the comments below. 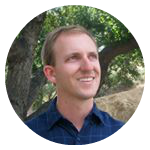 Since graduating from California State University, Northridge in 2006, Rick Perillo has been exploring and teaching sustainable gardening practices. He has worked on organic farms in New Zealand and Colorado, as well as earned two Permaculture Certificates, his Master Gardener Certificate, and Certificate in Global Sustainability from UCLA. Rick currently is designing and teaching a garden-based curriculum at MUSE School as well as running the website The Carrot Revolution.